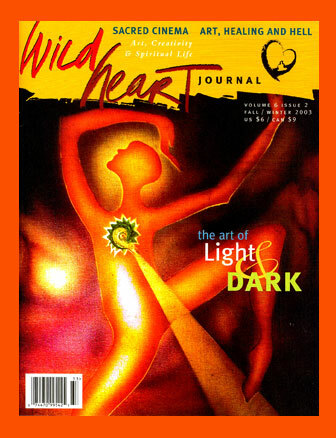 The Wild Heart Journal was a beautifully-produced, colorful magazine that began in 1998 and was published twice yearly until its final issue in the fall of 2003. The content of all the issues are available on this site, featuring dynamic interviews with many leading figures in the field of art and spirit, including Gabrielle Roth, Alex Grey, Krishna Das, Natalie Goldberg, Andrew Harvey and many others. Wild Heart Journal grew out of the work of Eliezer Sobel, author of Wild Heart Dancing: A Personal One-Day Quest to Liberate the Artist and Lover Within, which in turn grew out of his workshops and retreats on creative expression which he led at Esalen Institute, the Lama Foundation, the Open Centre, and other conference centers of this nature.